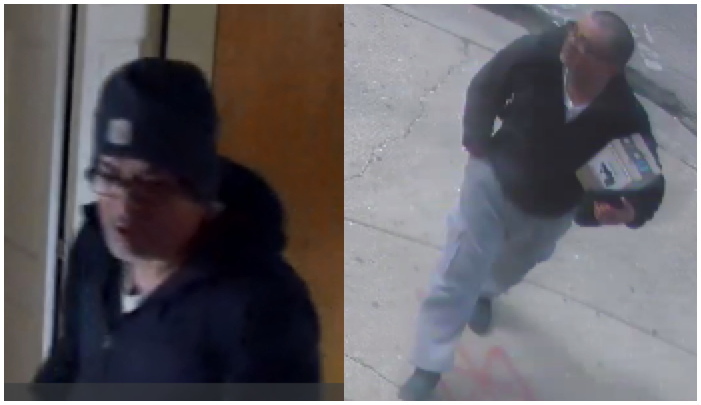 Police have released surveillance images of a burglar who broke into an apartment in the Irving Park neighborhood last week. The man seen here crawled through a window of the home in the 3800 block of North Troy around 1:40 p.m. on March 28th, police said. He then collected valuables from the apartment and fled. Investigators say the man is white and 45- to 55-years-old.